I am not writing this post as an expert. I'm writing it as a fellow mom who is usually tired and constantly adjusting (you know you get the schedule down and then naps change). However, I have found that there are a few key things regardless of the season I'm in that make a huge difference in my day. I hope you'll be able to benefit from these four things that make my "must do" list to make each day so much better! This isn't a magic wand. It is not going to make your day perfect, but it has proven to be a necessary part of my day to re-orient everything else. 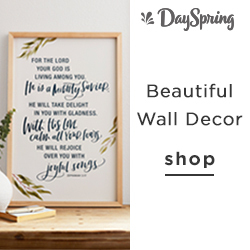 When you have time to read God's word and meditate on it, even just for a little bit, it is so much easier to view your day with God's perspective instead of your own. When you can pray for both your most extreme anxieties and also on things so outside of yourself to take the focus off of yourself exclusively, it is so much easier to view your day through the right lens. You're able to be more thankful for the good and focused on living out the love, grace, and patience that you have received to those around you. If you haven't read my very personal 2016 recap where I share about taking the focus off of ourselves, go here to read it. If you're wondering how you can pray when it's so loud and you're so busy, check out this post on "being constant in prayer". This may seem like more unnecessary work if you aren't doing it now, but I've found that it really changes so much. By taking a few minutes the night before to plan, I save exponentially more time. One of my children really thrives on a schedule. He will ask many times throughout the day and in one conversation, "And then what?". I've found by giving him a schedule, his stress is reduced and he is able to focus on activities better. This is also true for us! If you don't have a schedule, you'll quickly realize hours have passed and there wasn't anything accomplished. Or that maybe you knew what you needed to do but by not planning you did things in an order that wasn't ideal. The point of this planning is not to ignore your newborn and instead get a huge to do list done. Instead, if you can block out time for things to happen - you'll be able to enjoy your kids (and life in general) more because you aren't constantly multi-tasking, you'll be less frustrated, and you'll know you accomplished what you set out to do that day. Keep the plan simple and then if you get more done, it's all a bonus! This has been one of the biggest game changers for me in homeschooling and being home with three kids. I try to time block every day out loosely to make sure I'm allowing enough time for the things that have to get done and it allows to me to focus on the task at hand during the allotted time. For the current season with my kids at the age that they are, I can't multi-task. I can't move laundry from the washer to the dryer during my "school" block. It took trying out different schedules to realize that that was needed. I have to be 100% focused on helping with schoolwork and keeping the other little ones busy. There will be time blocked out later in the day when I can move the laundry. The goal here is that you think through what you want to do in your day and then you know to focus on those things instead of the many, many, many other things that you could do. If you're a stay-at-home mom of little ones, many days your list should include "Have fun with my kids". 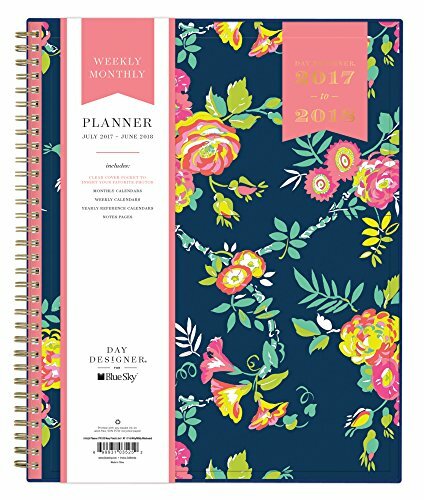 This planner is the one I have used for over two years now. I get a different cover each year but love the inside of this one and it's very affordable (around $10 to $20 depending on the cover) compared to some options out there. I'm not talking about the things that are on your current to do list here. This is NOT "finish the laundry" and "meal plan". I'm talking about more unique or even stretch goals that can help you be you. This is so different for different people - it could be "Open the Etsy shop I've been thinking about" or "Take on a bigger role in Children's Ministry at my church" or "Cook my way through the new fancy cookbook I got" or "Paint more". This seems completely counter-intuitive to getting things done when you feel overwhelmed. I know there are legitimate seasons where you simply don't have the time to add one more thing. However, I also know that I've had seasons where I thought I didn't have time to add this one more thing and (being totally honest here) I just didn't have much joy. By having a challenging and fun thing to do, you have more motivation - it's simple! This blog has been that for me for the past few months - I'm still staying on top of my other responsibilities (mostly, right?) but instead of taking a nap when my kids naps and have their quiet time - I'm usually working on the blog! Crazy, but it's been really enjoyable doing it all and creating a little space on the Internet. Even if the goal you pick seems small because you are in a season where your primary role is raising a group of little people, you need to remember that that primary role is huge. It's an enormous calling to raise the children God has given us! That should be taking up most of your bandwidth and that's more than ok! At the same time, I truly believe that having even a little something that you can have as a goal that operates as "self-care" is extremely beneficial for you to thrive in the season where you are! Push out any thoughts of inferiority you may have about your goal not being "good enough". Ugh. Life is hard! Systems fall through! Craziness happens all the time! You have to recognize that some days, just keeping everyone alive really is good enough. Maybe those last three things on this list sound like a lot that you aren't doing now! Know that everyone messes up. We all sin. We all fail at our to do lists and keeping our best intentions. Find a friend who will be real about her overflowing laundry baskets and messy car. You should laugh about it. Don't beat yourself up. Know that as a Christian, your true identity is found in Christ. Not in your perfect house, or your perfect kids, or your perfect whatever! You don't need to be striving for those things. 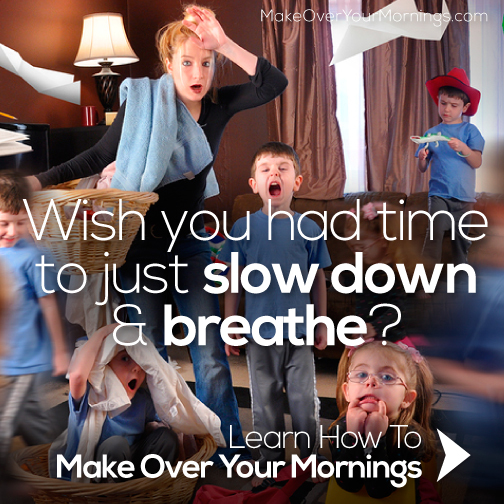 If you're looking for a resource to help you identify your goals and priorities to make each day better, I recommend trying out the Make Over Your Mornings eCourse. I finished it a little over a week ago and it was extremely valuable in helping me identify what I really wanted to get done in a day as a busy mom and clarify those 4 essential things on my list above. Disclaimer: If you do sign up for this course using my link, I do make a commission on the sale, which helps pay to keep the blog going. So, thank you! You can read my full disclosure policy here. The course takes a unique three-fold approach: a chapter to read, a video to watch, and a project to complete – all of which will take no more than 15 minutes of your time each day for 14 days. I did miss a few days when we encountered some sickness and went on a short marriage retreat - but was able to just double up a few days to catch back up. You could read a book on the subject or search out a variety of resources from other blogs on your own but I felt like the eCourse format was perfect for this topic because it was all so action-oriented and built on previous days. I have long enjoyed reading Crystal Paine write over at moneysavingmom.com (for about ten years now - back when my husband was in seminary and I learned almost everything I knew about coupons, deals, and saving money from her) and this resource is no exception. There is a pretty small risk involved too if this is something you think you need! I personally think spending $17 on yourself to evaluate how you're doing things is pretty reasonable and also might be the kick in the pants you need to make some changes (opposed to something that is free so you'd be less likely to stick with it). "If at the end of 30 days, you're unsatisfied for any reason—if Make Over Your Mornings doesn't do just that, "Make Over Your Mornings"—please email us for a full, prompt, and cheerful refund. No questions asked!" Easy! Click here if you'd like to learn more or sign up! Regardless of if you sign up for the class or not, I hope these four simple tips help you evaluate how you could change your days for the better! What have you found to be the most helpful in having your days run smoothly? I'd love to hear in the comments!